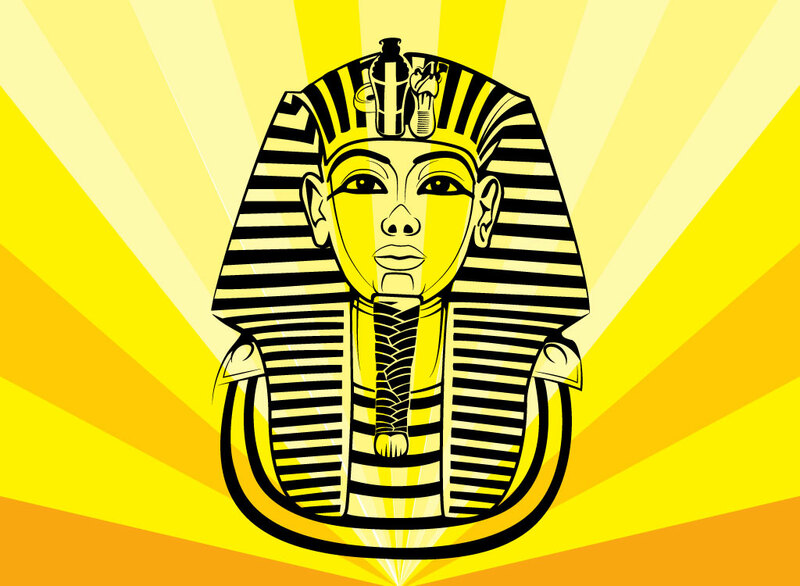 Free Pharaoh vector illustration of King Tut. Tutankhamun and his treasures have been displayed all over the world and this vector captures one of the most well known images. The bust of his gilded sarcophagus. A classic image that will look amazing in a history, travel collage, adventure poster, wallpaper or t-shirt design. Tags: King Tut, Mummy, Pyramids, Sarcophagus, Tomb, Treasure, Tutankhamun.